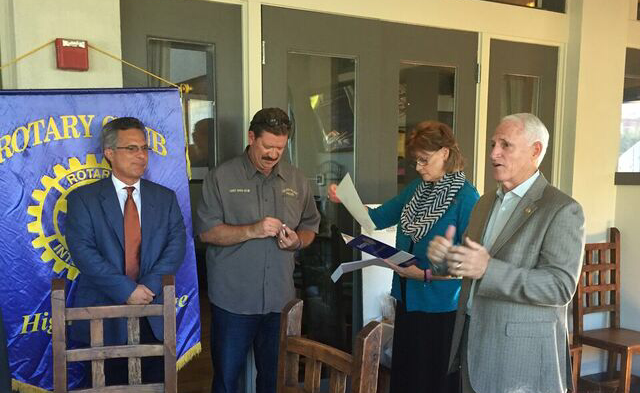 Highland Village Rotary Keeps Growing! Highland Village Rotary just keeps growing! Kathy Bauer joins the new member induction team for the last time. Her excellent talent was donated to charter the newest Rotary Club in our area. You may visit her at the Champion's Rotary Club in Justin Texas.